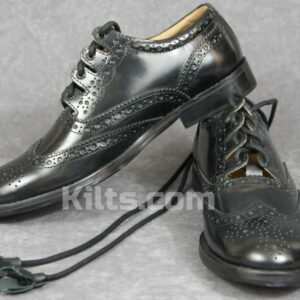 Ghillie Brogues are an essential part to finish off any kilt outfit. 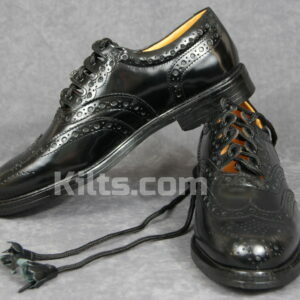 These Scottish Dress Shoes are traditional, yet fashionable, and will complete any look you have. 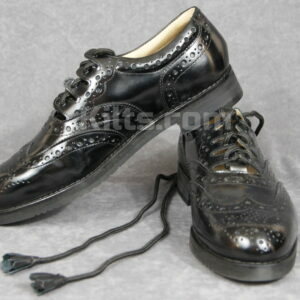 These can be best compared to what are known as “wing tip” shoes. 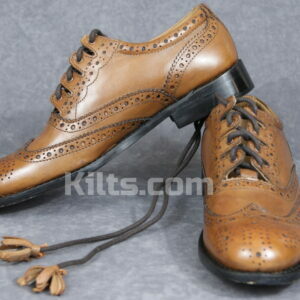 The Ghillie Brogues on offer through Kilts.com have neatly crafted holes on top, which is actually called “broguing”. What is different with a Ghillie Brogue compared to a normal shoe is the fact that this footwear doesn’t have a tongue, like you would normally expect from a shoe. 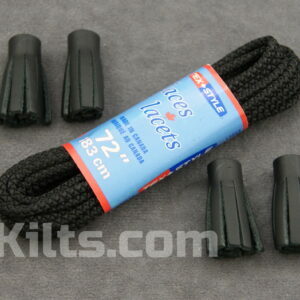 There are also long laces which come with the shoe which you then need to wrap neatly round the lower leg. All our Ghillie Brogues are made in the UK.